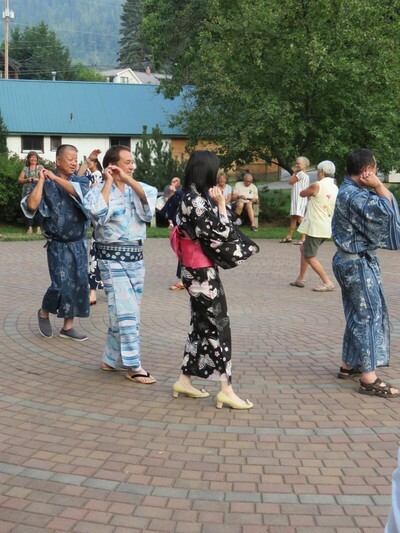 ​Obon (August 1 – 16) is the period when in Japan one thinks about one’s ancestors. 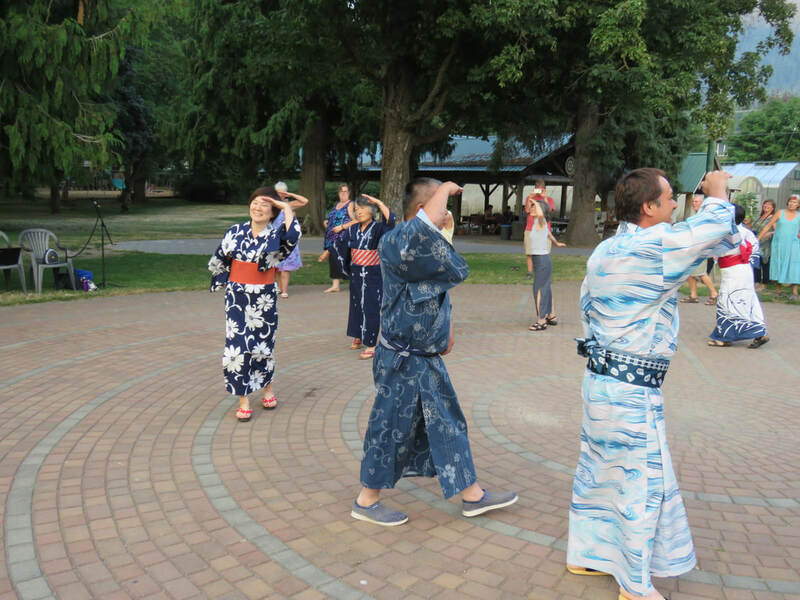 In cities such as Kyoto large bonfires in the shape of kanji characters are burned and the smoke dissipates symbolizing the transfer of the soul to the next world. 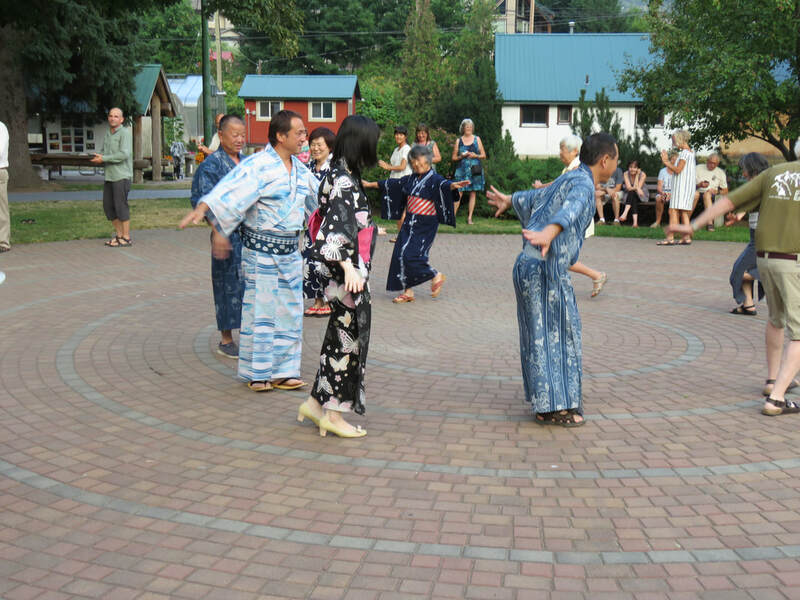 It is also a time of happiness in which people gather for bon odori dancing. 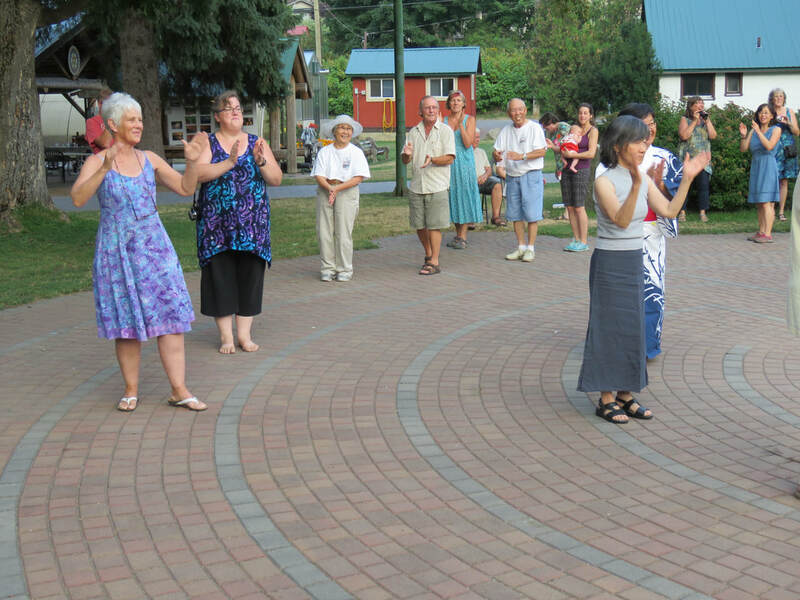 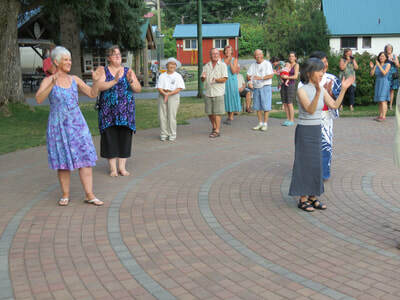 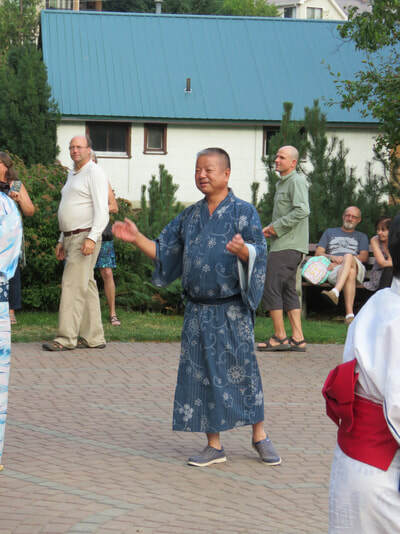 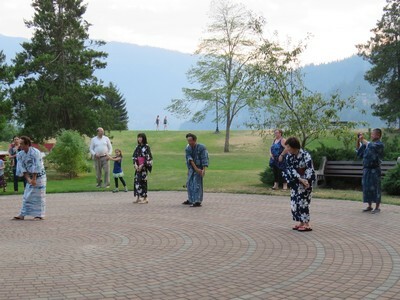 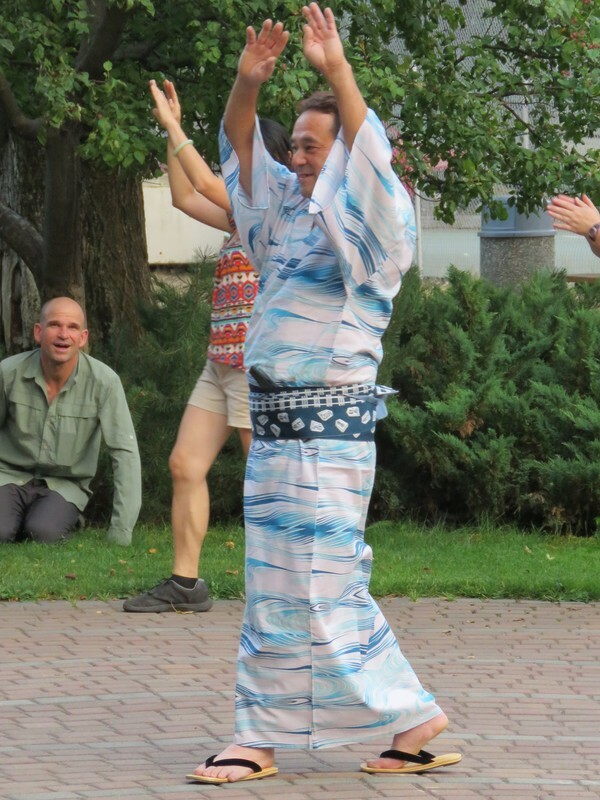 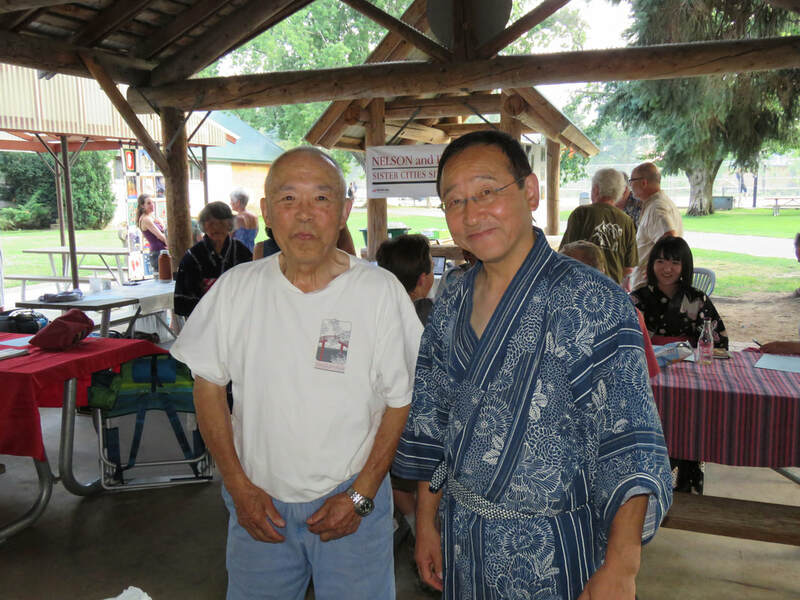 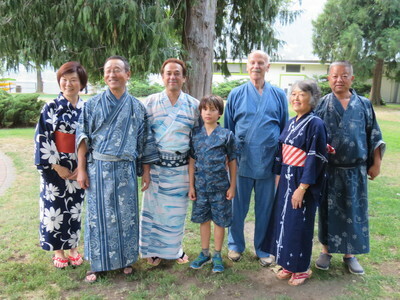 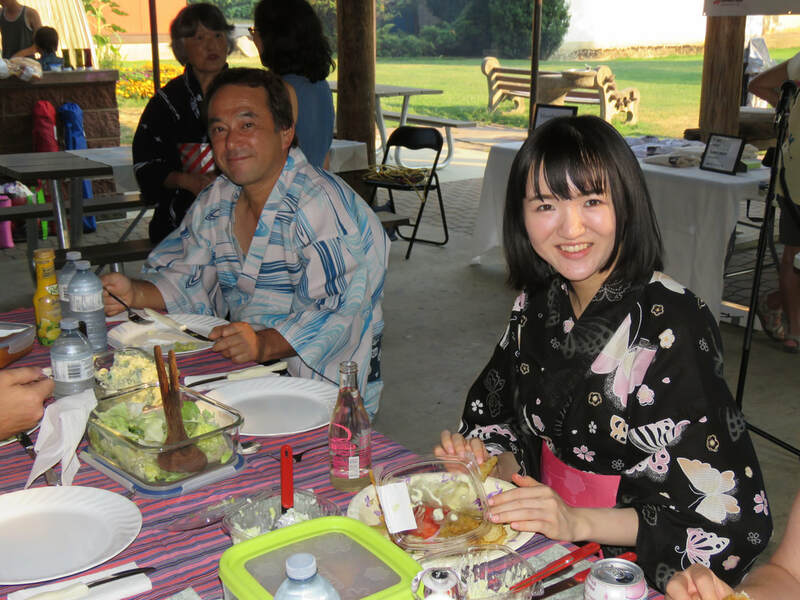 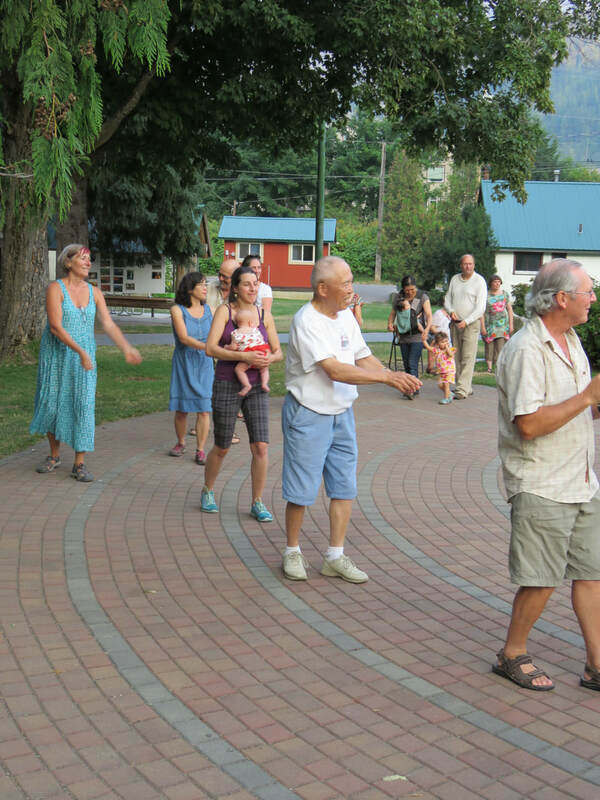 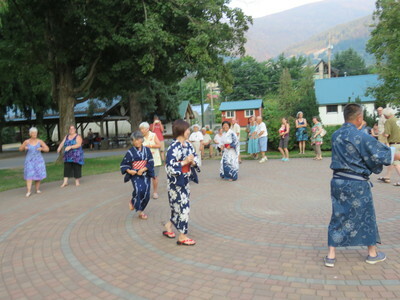 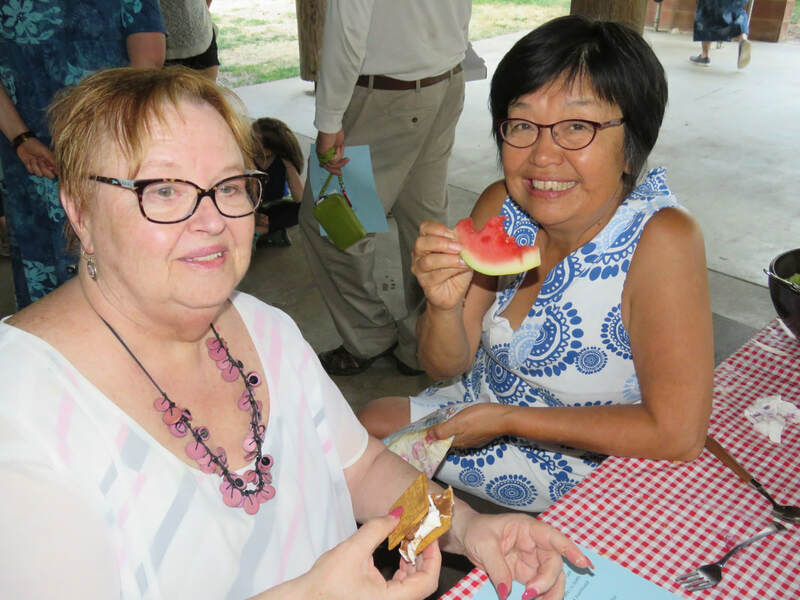 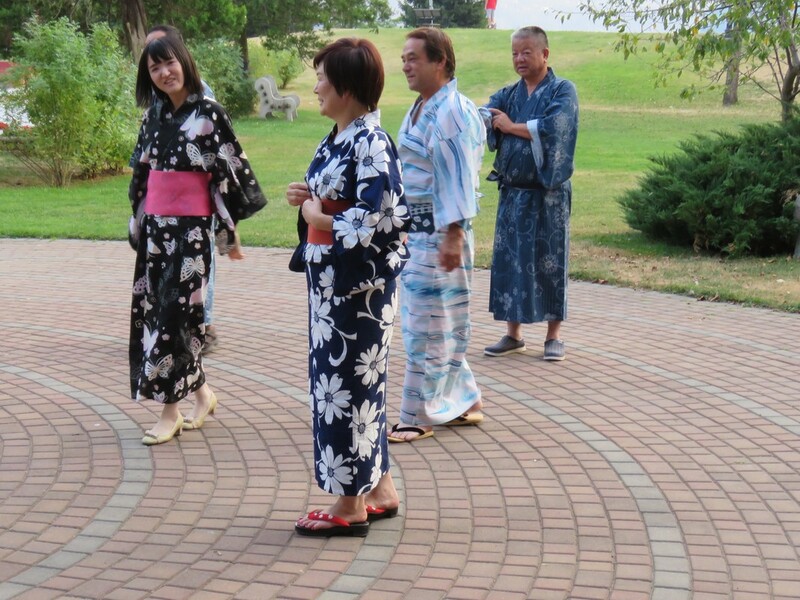 Each year the Nelson Izu-shi Friendship Society commemorates obon in Lakeside Park with a community picnic and singing of seasonal songs in the Rotary Shelter, and bon odori, dressed in yukata (summer kimono) or jimbe on the Labyrinth. This year the event was held as part of the program to welcome the delegation from Izu-shi and to celebrate the 30th anniversary of the sister-city relationship. 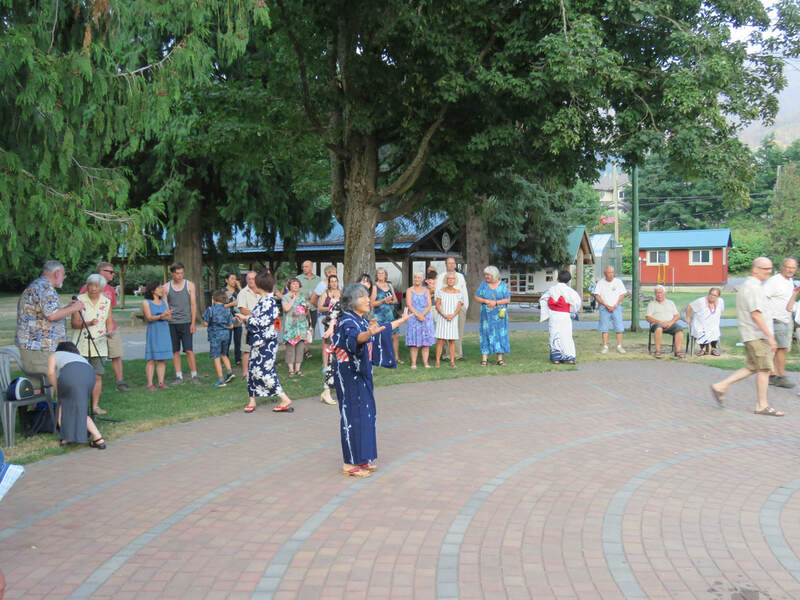 We were delighted to have members of the delegation join us in singing a summer song “umi”, and participate in bon odori dancing. The celebratory quilt , sewn for the 15th anniversary of the sister-city relationship, and that had been displayed in Izu-shi for the last 15 years, was brought by one of the Izu delegation members especially for the 30th anniversary celebration and displayed at the obon picnic. 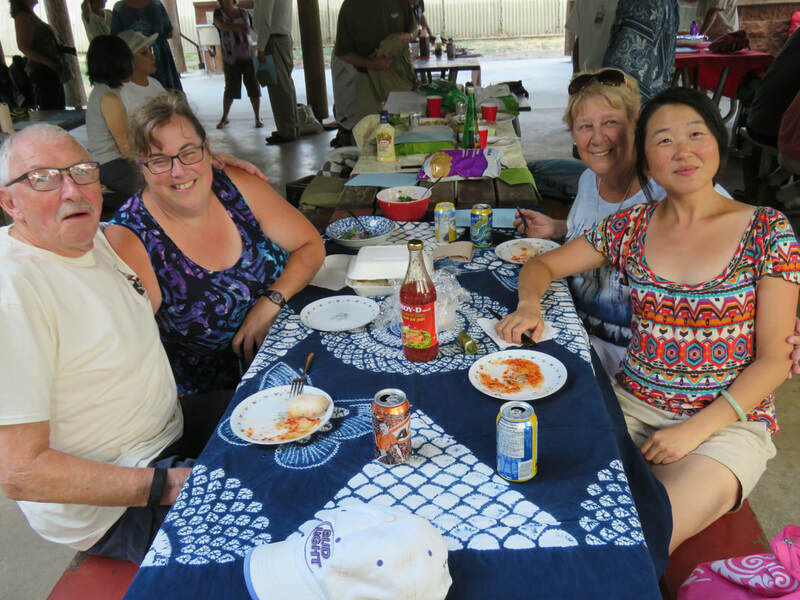 Three of the seven quilters joined the picnic. 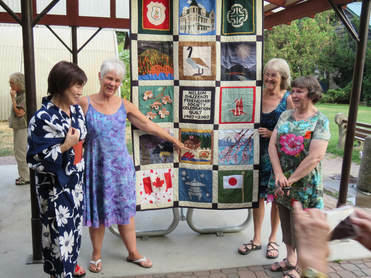 For more on the quilt click here. 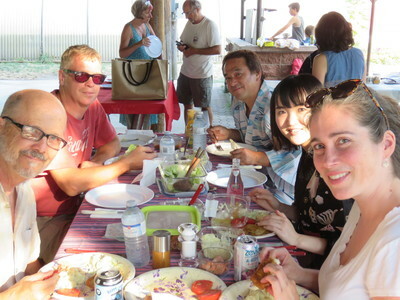 ​Everyone was invited to join a folk dance to the song “Tokyo ondo”. 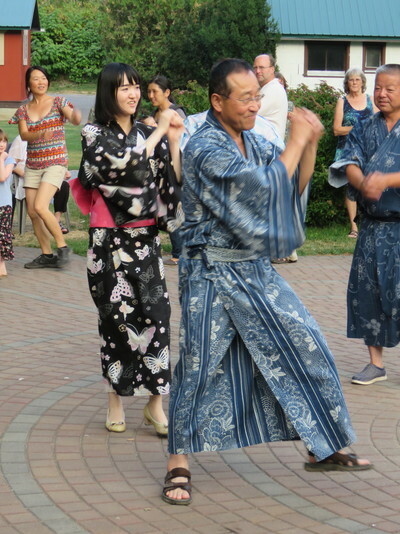 This song was composed in the 1930s and praises the growth of Tokyo and its wide variety of exciting places. The second dance was “Tanko bushi”, a coal miners’ song from Kyushu. 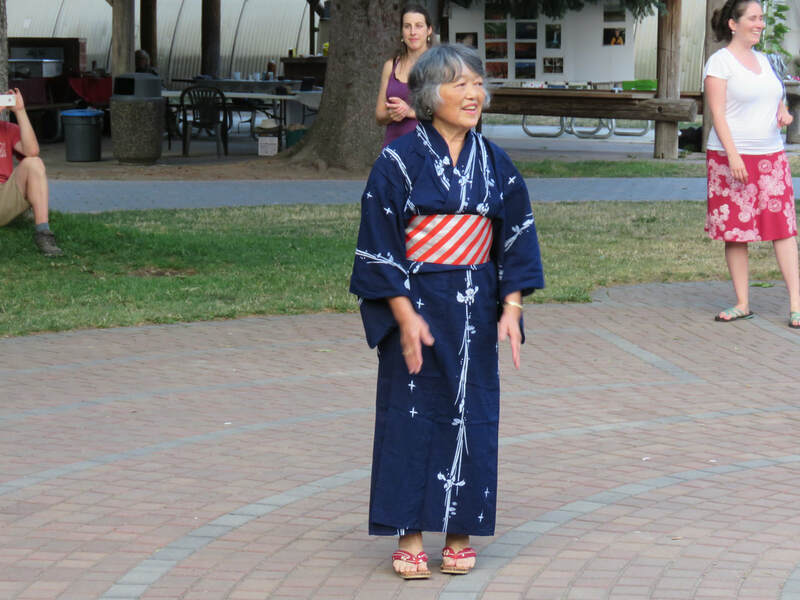 Both dances were led by Keiko Fitz-Earle, were narrated by Diana Morita Cole, and were enjoyed by all. ​The Izu delegation members danced to a popular song from Shizuoka prefecture, “Tokko ondo”, led by Tsuyoshi Misu ( in light blue yukata), and several Nelsonites joined in.